Get fired up this running season with the Vitality Run Series. 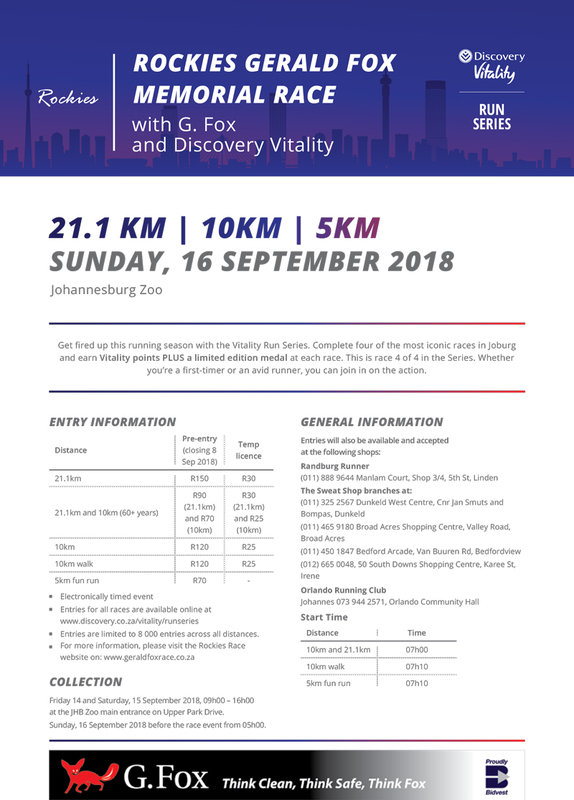 Complete four of the most iconic races in Joburg and earn Vitality points PLUS a limited edition medal at each race. This is race 4 of 4 in the Series. Whether you’re a first-timer or an avid runner, you can join in on the action. Visit geraldfoxrace.co.za for more information.